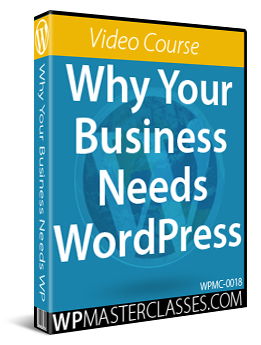 Our Introduction To WordPress tutorial series provides in-depth information about the benefits and advantages of choosing WordPress as the platform of choice for setting up a website or blog for business or personal use. In our WordPress installation tutorials, we look at the basic components of a professional digital business presence: WordPress, a domain name, and reliable web hosting. In this tutorial, we’ll explore the benefits and advantages of choosing a managed WordPress hosting service to host and run your WordPress site and then focus on the leading managed WordPress hosting service provider to illustrate the difference between using managed WP hosting and other hosting services. What Are Some Of The Main Features Of Managed WordPress Hosting? Do You Need Managed WordPress Hosting For Your WordPress Site? Is Managed WordPress Hosting Right For Your Business? Typically, when businesses choose the services of a website developer or web development agency to build their website, the website developer will look after areas like choosing the type of hosting and hosting provider to host their client’s site, so many website developers don’t see the point in educating their clients about different types of hosting services. Since the focus of WPCompendium.org is to educate non-technical users and DIY WordPress beginners how to set up, manage and grow their own web presence, it’s important to understand the different options available for hosting your WordPress site. Managed WordPress hosting is a specialized service where the hosting company manages all of the technical aspects of running your WordPress website, including management and maintenance tasks such as performing WordPress updates and daily backups, as well as taking care of important technical areas like site migration, security, speed, scalability, and uptime. Managed WordPress hosting services developed as a result of the growth and popularity of WordPress. Since WordPress is the world’s leading CMS platform, a number of web hosting providers have decided to specialize and focus on servicing the WordPress industry. While managed WordPress hosting providers take care of all technical areas of managing WordPress in order to free up website owners to focus more on their business, it’s important to distinguish between ‘true’ managed WordPress hosting service providers and ‘feature-rich’ hosting companies that often mimic the service but don’t offer the same level of specialization and expertise. Automatic Updates – Because WordPress continually updates its software and plugins, in a managed hosting environment WordPress core and plugins should automatically update to their latest versions. Daily Backups – Your hosting environment should provide daily website backups, one-click restores and restore points. WordPress Specific Server Configuration – Your hosting environment should be configured for optimal efficiency, speed, scalability, and security of your WordPress site. Caching & CDNs – Unlike shared hosting environments, with a managed hosting service third-party caching plugins are not required. In addition to caching, most managed WordPress hosting environments include the option to use a content delivery network (CDN) to improve website speed and reduce website loading times wherever visitors are located. Staging – A staging environment allows web developers and web designers to implement and roll out changes to your website with just a few clicks. This includes testing or changing elements of a website’s design, database modifications, or new plugins in a safe environment before making the site with new changes live. Site Migrations – Managed hosting companies make the process of moving websites from one host to another easy, simple, and quick. WordPress Security – In addition to providing improved security features like custom firewalls, continuous malware scanning, strong password enforcement, IP blocking, etc., your managed WordPress hosting service provider should have total expertise in all areas and aspects of WordPress security. WordPress Support – With managed WordPress hosting, your website should be looked after by WordPress experts with deep knowledge and experience of the platform and this expertise should reflect across all areas of WordPress hosting, from migration, to security, optimization, scalability, support, and more. WordPress Management – Having experienced and knowledgeable WordPress experts looking after your site is definitely an advantage, especially when it comes to performing management and maintenance tasks like migrating, updating, and backing up WordPress sites. WordPress Security – WordPress has its own security requirements. 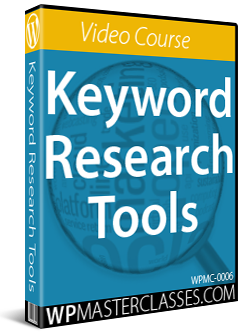 Once again, this is where having the benefit of WordPress experts looking after your site becomes an advantage. WordPress Optimization – Like security, WordPress has unique optimization features and requirements. Knowing how to optimize WordPress sites can lead to significant improvements in speed and performance, which can affect user experience and the revenue you generate from your site. WordPress Scalability – As your site grows in traffic and functionality, it’s important to host with a company that understands scalability issues and how these affect your site’s speed, performance, and responsiveness. WordPress Support – WordPress is a unique platform. Having the expertise to identify what’s going on when problems or errors occur and the knowledge to troubleshoot and fix things is essential. WordPress Development Tools – For website developers, web designers and anyone who builds WordPress sites, having access to development tools such as staging area, version control, etc. is important. Cost – Compared to shared hosting, managed WordPress hosting is more expensive. Where a shared hosting plan can cost as little as $3 or $4 per month, a basic managed WordPress hosting plan can start from around $30 per month. Limited Control – By definition, a managed hosting environment means that you are putting others in control of making technical decisions on your behalf. With a dedicated managed WordPress hosting service, this may include limitations on settings normally available through cPanel, like editing your .htaccess file, setting up Cron jobs, denying IP addresses, etc. 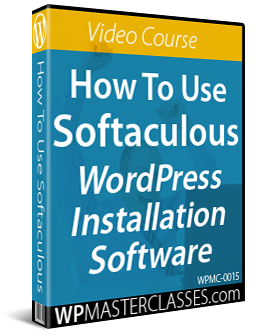 and not being able to install certain WordPress plugins for technical or security reasons. If you’re not a technical expert, this should not be a big deal, however, as it lets you focus on your business while leaving experts in charge of your server management. In our tutorial on how to set up web hosting for WordPress, we discuss what to look for when choosing a web hosting company. If cost is your main priority, choose a shared or non-managed WordPress hosting provider, but keep in mind that going with the cheapest web host to run your WordPress sites can leave you vulnerable to hacking, running out of bandwidth, and possibly having your site shut off if you exceed your allotted quota. If your business depends on your website staying up, running fast and efficiently, being able to handle large amounts of traffic, and getting any issues or problems taken care of fast, then the higher cost of managed WordPress hosting may be justified. Another way of looking at the cost of managed WordPress hosting is that the service actually costs less than hiring a system administrator with technical expertise to look after the hosting and management of your website. It may be worth paying a few extra dollars per month, therefore, to have someone else look after technical areas like security, upgrades, updates, maintenance, troubleshooting, and support, leaving you free to focus on important areas like content creation, online marketing, and growing your business. To learn more about factors that justify paying more for managed WordPress hosting, see this article: How To Justify Costs Of Managed WordPress Hosting. Ultimately, whether you decide to host your website with a managed WordPress hosting provider or not is up to you and your business needs. If you’re just starting out, don’t have much money, little traffic, and your business doesn’t depend heavily on your digital presence yet, then hosting your WordPress site on a shared, VPS (Virtual Private Server), or dedicated server with a reliable host may be a better option. If you lack technical skills, managing the growth of your web presence with regards to areas like hosting, server, and website security, speed and performance, upgrades, updates, uptime, etc. can be quite challenging. So, if your business is at the level where factors such as server reliability, security, speed, scalability, and customer service have become important and essential to your success, then switching to a managed WordPress hosting service provider may make more sense and the value and peace of mind may justify the cost. As your small business or digital presence grows into a high-traffic website, you may need to scale things up and this is where managed WordPress hosting for your WordPress site makes sense. Scaling things to the next level, however, presents a number of challenges. For this reason, if you are ready to switch to managed WordPress hosting, we recommend choosing the leader in the managed WordPress hosting space. 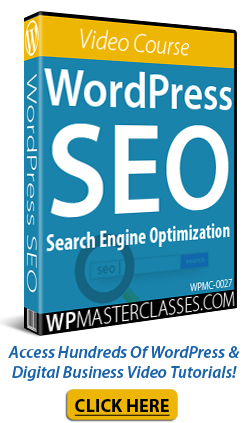 WP Engine is the industry leader in managed WordPress hosting. It is a “true” managed WordPress hosting company (as opposed to ‘feature-rich’ hosts), employing more than 150 full time WordPress support experts to help customers with their WordPress issues. Dedicated WordPress engineers keep the hosting platform fast, scalable, and secure to ensure that WordPress sites run and perform optimally. 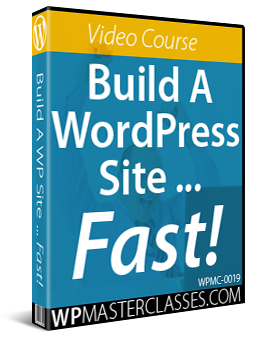 Additionally, the WP Engine team has spent years perfecting their WordPress hosting platform and adding features built specifically for WordPress users and provide support around the clock by phone, email or live chat. WPEngine is up to 4x faster than the competition. 5% of the online world visits at least one site hosted on WP Engine every day. 3x Stevie Award winner for best customer service & support. Over 2 million website attacks are blocked every day. WPEngine operates in over 150 countries and is the preferred platform for hosting WordPress sites of various governments, Fortune 50 companies, and over 30,000 customers worldwide. When your website is mostly unknown and getting very little traffic, you may think that security is not a big issue. Why would hackers care about your site when they have bigger sites they can target? This is a widely-held belief with many businesses, but it’s a dangerous misconception. Hackers don’t care how big or small your site is. Most hackers are interested in gaining control of vulnerable and poorly-secured sites and servers so they can use it for various nefarious activities, such as spreading malware, sending spam email, or causing damage to other sites. Hosting your website on a shared server creates an even bigger challenge, as the security of your website could be compromised if a hacker gains access to someone else’s site on your shared hosting environment. Despite the best efforts of website owners to keep their sites secure, many security measures can only be implemented cost-effectively by companies of a certain size and scale. WPEngine blocks millions of nefarious attacks everyday using complex and holistic security measures. This includes getting early access to information from security companies, proactively monitoring the network for suspicious patterns and behaviors, performing internal and external scans of all servers on a daily basis, and more. Additionally, WP Engine is only one of a few hosting companies worldwide that guarantees to clean things up for you if your site does get hacked. This promise to assume responsibility keeps the company on its toes and continually vigilant about maintaining the highest level of security at all times, including investing in new security methods. WP Engine proactively keeps web sites secure with automatic updates for security patches and WordPress core updates, as well as performing security and malware scans to ensure that sites are free from intrusions. Additionally, WP Engine’s technical support team will notify you if your site is impacted by a security risk. Learn more about WP Engine’s Secure WordPress Hosting. With the exponential growth of mobile devices and mobile search, having a fast site has become an important factor not just for ranking higher in search engines, but also for increasing revenue and reducing visitor bounce rates. Speed in technology has to be ubiquitous, from fast networks and fast servers, to fast loading applications, fast processors, fast operating systems, fast security rules, and so on. WP Engine employs over 70 engineers and uses state-of-the art technology to ensure that all sites hosted on their network enjoy the fastest loading speeds and performance possible at all times. Staying fast, up, and available during heavy server usage and traffic spikes (e.g. getting 10x, 20x, even 100x normal traffic) is another important area that WP Engine continuously focuses on improving. Even if your website isn’t getting a lot of traffic yet, sometimes an unpredictable event happens (e.g. 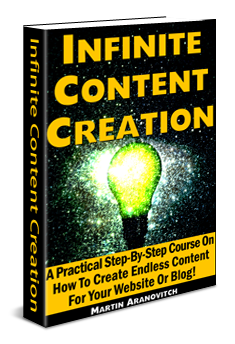 your site gets picked up by the media or a post goes viral) and your site gets an unusual flood of traffic. Traffic spikes can also occur if your site is the target of a brute force attack. Hackers may not get through your security fortress, but your traffic will definitely increase. These types of situations will test your site’s ability to handle high traffic the most. If your server can’t handle this, it could fall over and your site will end up going offline. Speed and scalability are related. If, for example, your site can be served 4x faster, then your existing hardware can handle 4x the amount of normal traffic. WP Engine has developed a unique and proprietary scalable system that not only serves websites faster, but automatically and dynamically allocates more resources to websites when needed without having to change the configuration of the hosting server. As the saying goes, “technology is great when it works.” Every customer wants their sites to be up and running all the time and for their plugins and sites to work without issues. When things go wrong, however, as they will from time to time, having excellent and responsive customer support is essential. It’s no different with WordPress. Sometimes things will go wrong. WP Engine employs expert WordPress engineers to look after the WordPress hosting needs of their customers and has a dedicated team of over 150 technical support experts who provide support around the clock by phone, email or live chat and can help customers with questions about their websites and WordPress issues. WP Engine provides world-class support to customers with a commitment to improve their service through customer feedback and by continually investing in training their service and support team. New staff must undergo intensive training before they can join the customer support team and receive ongoing on-the-job training. WP Engine also encourages their team members to develop their expertise in specialized areas, such as SSL, WordPress Multisite, etc. Customer Education: WP Engine’s “Support Garage” provides customers with a host of resources that are available on-demand like webinars, online documentation, ‘how-to’ videos and interactive tutorials, etc. Hacker Cleanup Guarantee: Should something go wrong with your website, WP Engine guarantees to fix it. In addition to providing customers with a fully managed service and excellent support around the clock, clients on higher-level hosting plans (e.g. Premium or Enterprise) benefit from additional services, such as access to a consultative onboarding team, a premium technical support team and a strategic account management team. WP Engine’s service guarantee, then, can be summed up as providing the right type of help, with the right level of expertise, when customers need it the most. Choosing a hosting plan and getting started with WP Engine is easy. The User Portal is a unique feature of WP Engine. Unlike other types of hosting control panels (e.g. cPanel), WP Engine’s User Portal was developed specifically for managing WordPress applications inside WP Engine’s hosting environment. Dashboard: Get access to monthly reports, system status and useful information posted on WP Engine’s blog. Installs: This screen lets you access vital information about your WordPress installation, such as server IP, number of visitors, bandwidth usage, storage, SFTP (Secure FTP) logins, domains, CDN, backups, redirect rules, logs, SSL, utilities, site migration tools, and more. Page Performance: Run Page Performance tests for speed insights on your site and access helpful tips on how to optimize your site for optimal performance. You can also schedule recurring tests. Users: This section displays all users with access to your WordPress installs, their email addresses and account access level. My Account: See your account details, plan type, payment info, contact info, and invoices. Help/Support: Contact support via their 24/7 live chat, create and view support tickets, access helpful articles and interactive walkthroughs, and more. If you are still planning your WordPress website and haven’t decided on a hosting service yet, we recommend getting started with one of WP Engine’s managed WordPress hosting plans. If you already have an existing WordPress site hosted on a non-managed WordPress hosting environment and would like to move your hosting to WP Engine, the process is easy and can be done very quickly. WP Engine not only has a custom site migration plugin and tutorials, they also offer assistance and support with your migration. 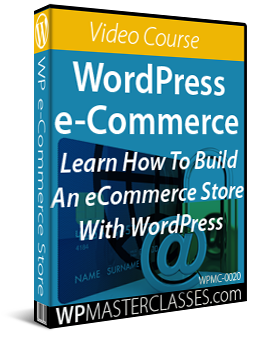 Learn how to move your site to WP Engine in less than 30 minutes. Hopefully, you now have a better understanding of the benefits of choosing a managed WordPress hosting service to host and manage your WordPress website. To learn more about WP Engine and get a special bonus discount on your hosting plans, go here: WP Engine – Managed WordPress Hosting (Special Discount Link). Originally published as Benefits Of Managed WordPress Hosting For WordPress Website Owners.